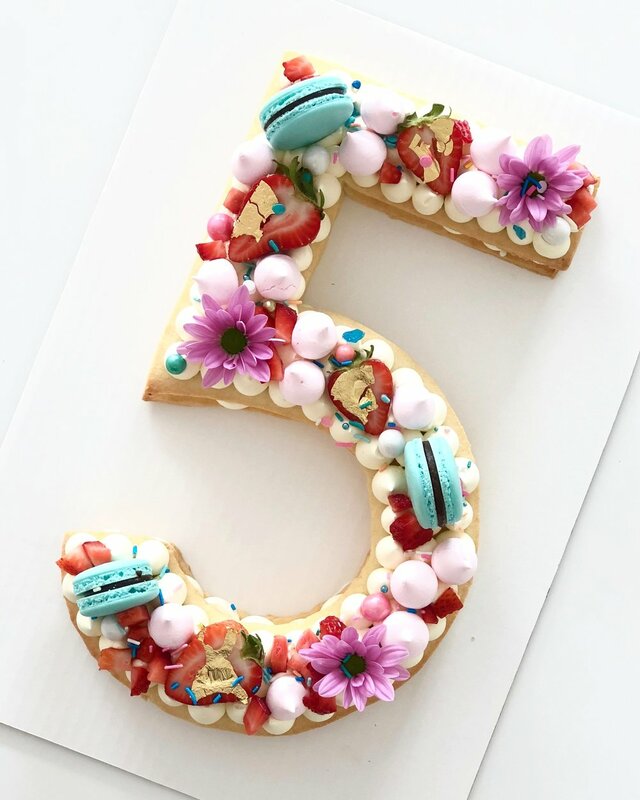 Our cookie cakes are made with layers of deliciously buttery sugar cookie and creamy buttercream, and decorated with a collection of macarons, meringues, fresh fruit, and fresh flowers, in the colour palette of your choice. Available in in single digit and double digits. 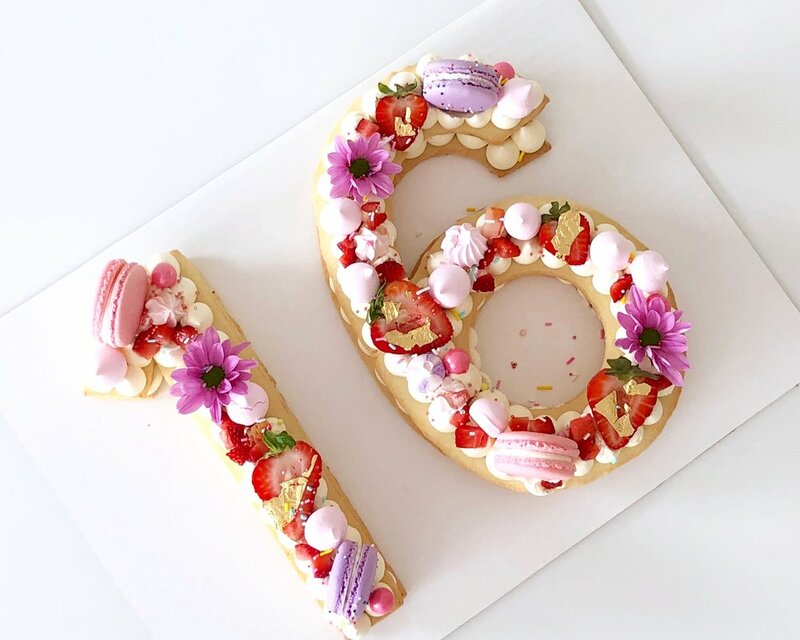 Pair your cookie cake with a matching Collection Cake for your celebration!